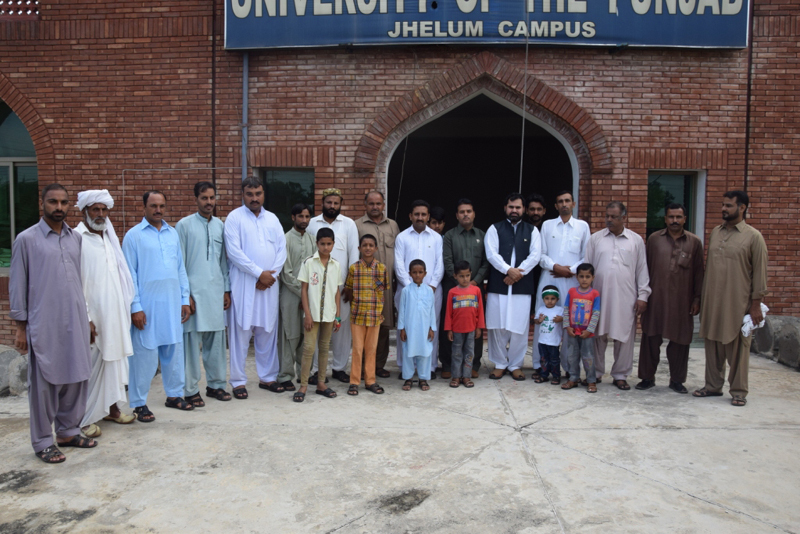 August 14th 2018: As per the directions of the Worthy Vice Chancellor Prof. Dr. Niaz Ahmad Akhtar Independence Day has been celebrated at Punjab University Jhelum Campus with full zeal and zest. 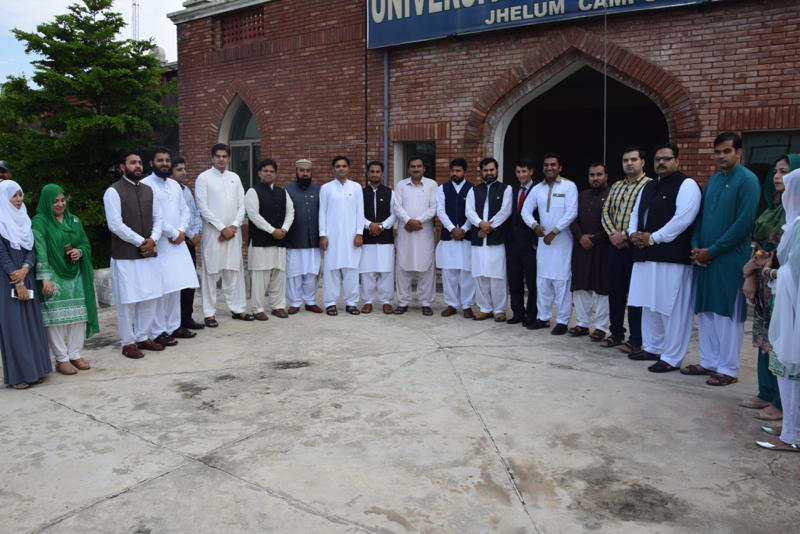 It is worth mentioning that all the Faculty Members and Administrative Staff of PU Jhelum Campus attended the ceremony. 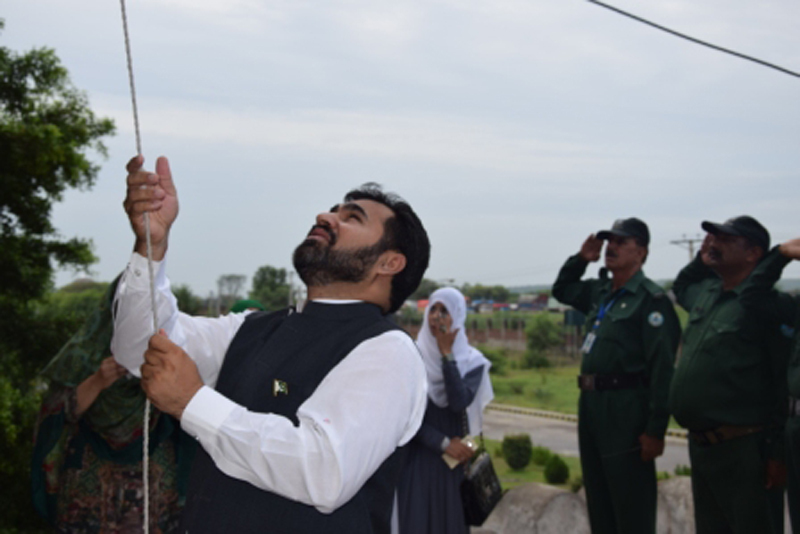 Flag hoisting done by the Director Dr. Muhammad Mudasar Ghafoor, he congratulated all the Faculty and Staff Members on behalf of the Worthy Vice Chancellor. On this precious occasion Dr. Mudasar addressed the vision of the Worthy Vice Chancellor, he briefed that we should focus on the well being of our beloved country, we have to take responsibility to bring Pakistan among the list of developed nations and this can only be done through quality education, applied research, professionalism and character building of students. He stressed all the faculty and staff members to stay away from organizational politics and stay focused on the improvement in quality and standard of education to conform the National/International needs.